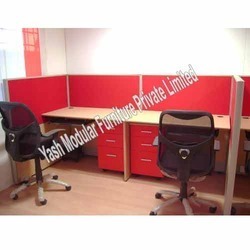 We are leading manufacturer of a wide range of Modular Workstation. These products are customized as per the requirements and needs of the clients. 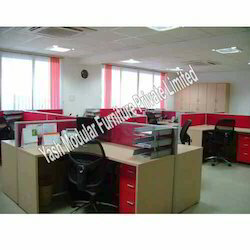 This range of products includes Corner Workstation and Linear Workstation. To meet the international standards of quality, we have dedicated team of skilled quality checkers for the testing of these products. Our team of trained and qualified experts have the ability to manufacture a wide range of Corner Workstation. Exhibiting qualities like robust construction and rugged nature, these products are also customized as per the requirements and demands of our clients. We also test these products as per the international standards of quality before it is delivered to the clients. We have the acumen to manufacture a wide range of Linear Workstation thatis quite popular in the market. We can also customized these bags to meet the needs and requirements of our clients. We also make sure that these bags are tested as per the international standards of quality by our team of professionals experts. 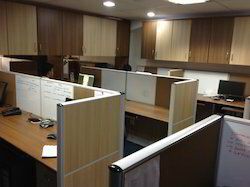 Our team of skilled and trained professionals provide our clients with a range of Modular Office Workstation. These products are customized as per requirements and specifications of our esteemed clients. We also test these products as per the international standards of quality before it is delivered to our clients.